I remember my school days where simple inter class Football matches seemed like World Cup finals to us, and even today every student of Shrimanta Shankar Academy (SSA), Dispur feels the same. The annual football championship was held somewhere near the autumn break, but the preparations for the same started almost from the first day of the session. 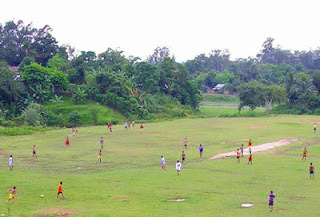 Practice of Students at the SSA Ground. I don't actually know how this tradition stared in the school, but every student is serious about this football tournament. I remember, the very first time we had a championship was way back in 2004, when we were in class IV and we played against two other sections of the same batch. And you know what, we were the champions. Then towards the later part, from class VI onwards, matches were played against all the sections of Class VI to IX. And now there are various divisions, VI-VII, Group A which comprised of five sections of both the classes competing for the title. While VII-X comprised the second group. Meanwhile XI-XII have their own separate league. The most interesting fact about whole of the tournament was that, no matter we were never given some handsome cash prize nor some fancy trophies, yet we took it so seriously that all 3 or 5 sections of each class used to have their own separately designed unique jerseys with our names or alias printed at the back. That was the craze for football in the school, which even continues till date. 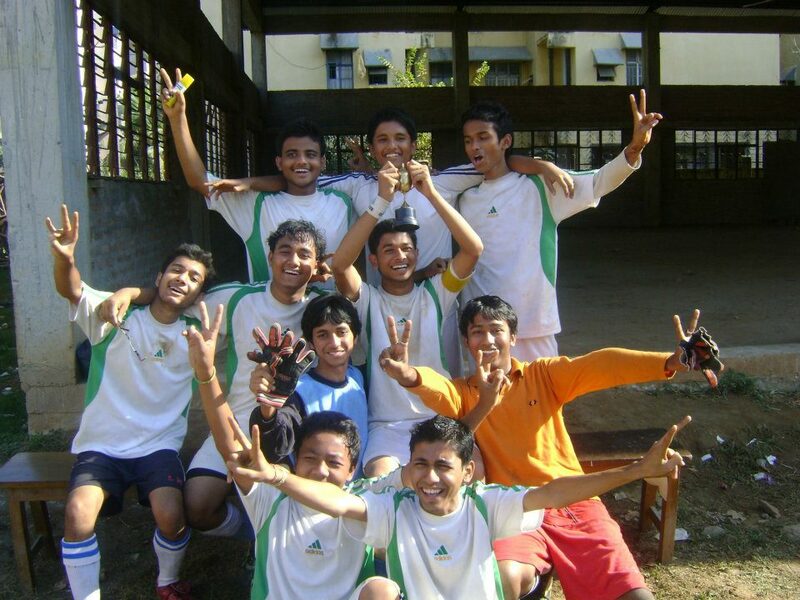 I don;t know about other cities, but in Guwahati, there has always been a love for the game. Football is something which is played here as a passion, not just a game. I remember, every morning during my summer vacations I used to be at this Janta Bhavan Ground, where people from all works joined together to play. Every morning about 20-30 football patrons gathered and divided themselves into teams and played almost till late 11:30. And about the level of game, I suppose if we clustered ourselves for any the major tournament, we could have made significant development to a higher level. There is this Khanapara Veterinary Ground in Guwahati, which is another adda of of the football lovers of the city. You can almost find a bunch of players playing there every time you visit there. There are various locally organised tournaments here, which are not affiliated to any of the governing bodies and are being organised by locals and the football teams where each team paid a certain amount for the entry, and the winner gets the whole of the collected amount. I myself remember having played so many of such tournaments, where we need just and entry fee of Rs 300. Sometimes even the Rickshaw wallas and road side vendors would also join the tournament with their teams, and believe me they played so well that even the SAI guys were ashamed of their game. This is just the love for the game. We used to have flood light football games, not in a proper ground, but anywhere where free space was available. Four towers with about 25 halogen lights would light up the ground and game used to progress with ample fan support. Football has always been a sport that has been celebrated in Assam. Though the state doesn't have any club playing in the major leagues of the country but still every body in the state enjoys the game. Tough we don"t have proper infrastructure, but still that does't stop us form playing. We manage everything on our own, and play full hearted. we are going to held a Bloggers meet,Assam-2012, on 10th August/2012. Great initiative guys, but sorry I might not be able to attend it as I would be in Delhi. But keeping going the spirit of Blogging.